I visited the new Haglöfs Scottish showroom last week, the range for 2011/12 has grown so much that the old shed has been vacated. I’ll have more on that soon, but first here’s something I picked up for test on my visit, in the shops now: the Haglöfs Cirque. 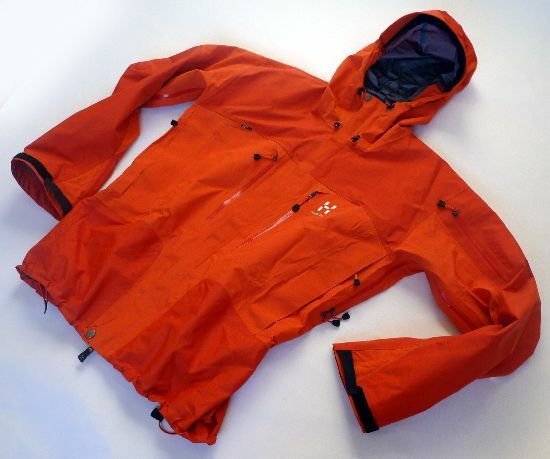 The Spitz has been a big success, and it’s always had a partner jacket, the Crux and then Creva, that was intended as an all-round bad conditions mountaineering jacket to the Spitz’s short-bodied alpine climber. Unfortunately none of these really set the world on fire so, we now have the Cirque, and evolution of the previous models, but now tightened and honed to be a perfect match for a Scottish winter, hence the McSpitz reference. What this actually means is a longer jacket with a cut that has room for a couple of layers underneath, we’ve got the same killer multi-adjustable hood that we get on the Ozone and the Spitz, but with a little more face coverage. There’s pit-zips, four unobtrusive chest pockets, a sleeve pocket, two inner pockets, waist and hem adjustment, velcro cuffs and a double-storm-flap main zip. The jacket’s cut from Gore-Tex ProShell, lightweight on the lighter areas and with a tougher face fabric on the darker areas where abrasion is most likely. Now, all this comes in at 588g for this size large. Aye, it’s got all the features, but there’s no fat on it, from the micro seam-sealing tape to the slender welded zips. When I was still weilding two short axes I’d have cried for joy with a jacket like this, today it’s just a joy to have all the stuff with a weight that looks like the scales are lying (they’re not, I zeroed it twice). I’ve been been in blizzards and knock-you-over winds in a Haglöfs Oz, and it’s absolutely fine, but sometimes it’s nice to just shut it all out, and modern fabrics and manufacturing let us do that without carrying an 1100g shell jacket (Oh, I’ve done that). Orange Rush and Sunset it is, but this colourway never made production (orders for 15 don’t make a production run, that’s the buyers for you, they don’t want us to have colours), so you’ll see black, blue and red out there in both mens and wummins. More of this through the winter. Such a shame about the colour not going into production… I could be an Action Man in that! Looks a decent jacket does that, only a 100g more than my Temperance but with pit-zips, , extra pockets, longer hem and some heavier material on the shoulders. Which should make it a far better all-rounder, sometimes a little extra weight makes a lot of sense. I had to use Google images (no Photobucket love here) and it’s a looker, right enough. But oof, what a price :o( I’ll be sticking with my Montane Halo for a wee while yet, I think. Chewy, the Temperance and this have the best foul-weather hoods I’ve tried in recent times. It’s a featuyre that really does elevate a winter jacket. The Halo is another favourite, good length on the body too. I like that lighter jackets don’t have to have the corners cutt of them these days. …which can only be a good thing! Aye, I wasn’t joking with the McSpitz reference! The Cirque is my first Haglöf hardshell, i own two haglöf softshells and a hard fleece. I have been doing a lot of thinking before getting this jacket – I live in Copenhagen, Denmark (the climate is like the east coast of Scotland) so apart from hiking in north scandinavia and light mountaineering, the jacket will have to resist every day use. A good multi-adjustable hood, A storm flap (i had way to much trouble with laminated zips in the past), and a nice long fit. The hood is great with three way adjustment, the neck adjuster is a couple of centimeters too short but i can live with that, it would have been a great improvement if the adjusters could have been used whit just one hand and winter gloves. The inner pockets are good noting to notice here. The “hand warmer pockets” are to small – My Hestra army gloves are way to big for them, so i can’t stash them away, if I need to use my hands for a second, thy work okay for stuff like keys and phone. The two laminated chest ones are fine But one, slightly larger would have don the job – I can’t fit a full size map in them and that makes them a little useless on the hike.. I could do with out the sleeve pocket too. 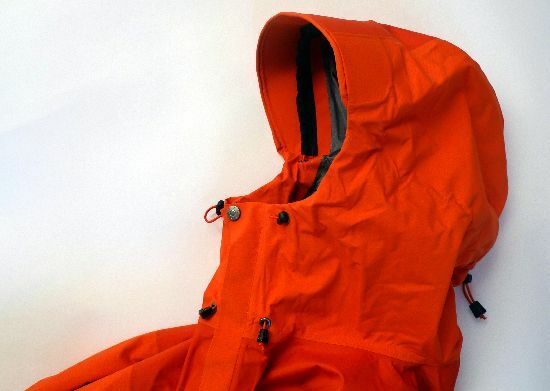 Is a over all great jacket, one of the best hardshells on the marked – i will definitely recommend it. There is only a very few minor problems, but the pockets are not good enough compared to other hardshells i have owned. I pretty much agree there, fantastic jacket with pockets that could have been better done. I had mine on yesterday in a blizzard and the hood is awesome, the engineering of the body and free movement are brilliant. The side pockets I find okay, the two centre on ones are the ones I use the most and they really should be bigger. I’ll still wear it though, it’s the best winter jacket I’ve got.